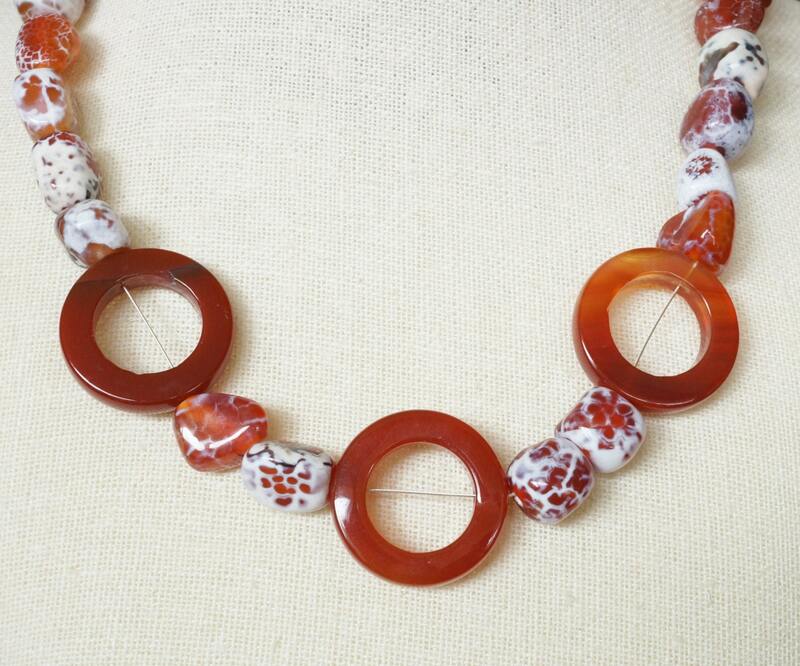 I wanted to make a whimsical design using these carnelian donut beads. 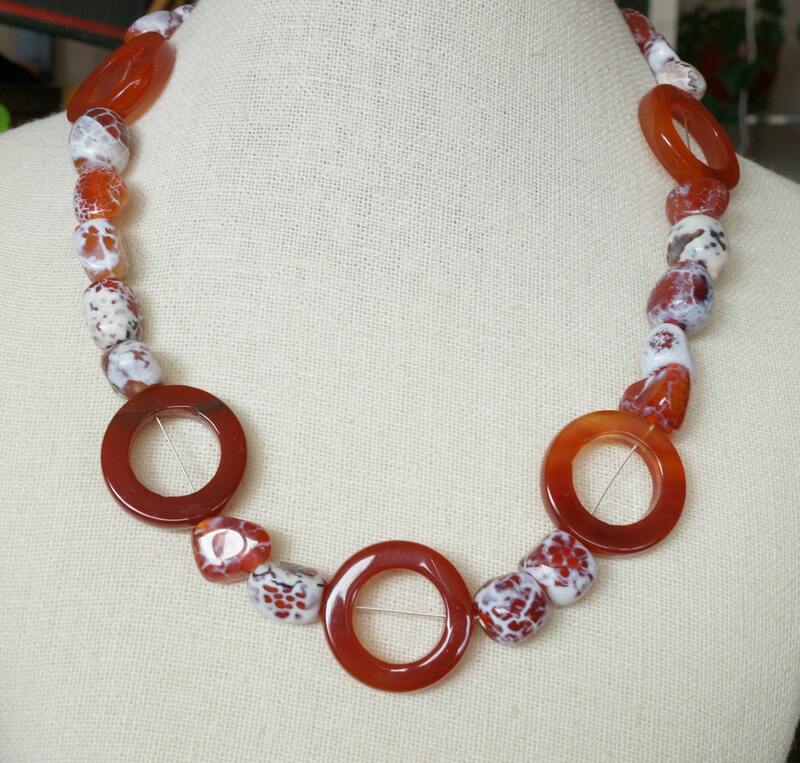 I embellished the necklace with crab agate nugget beads. 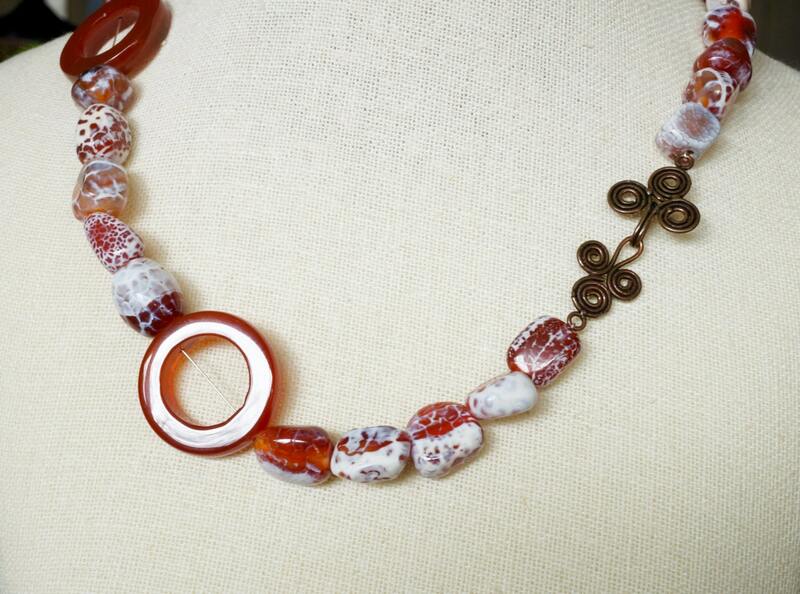 Everything is strung with a sterling silver beading wire.The hook clasp is made of copper. 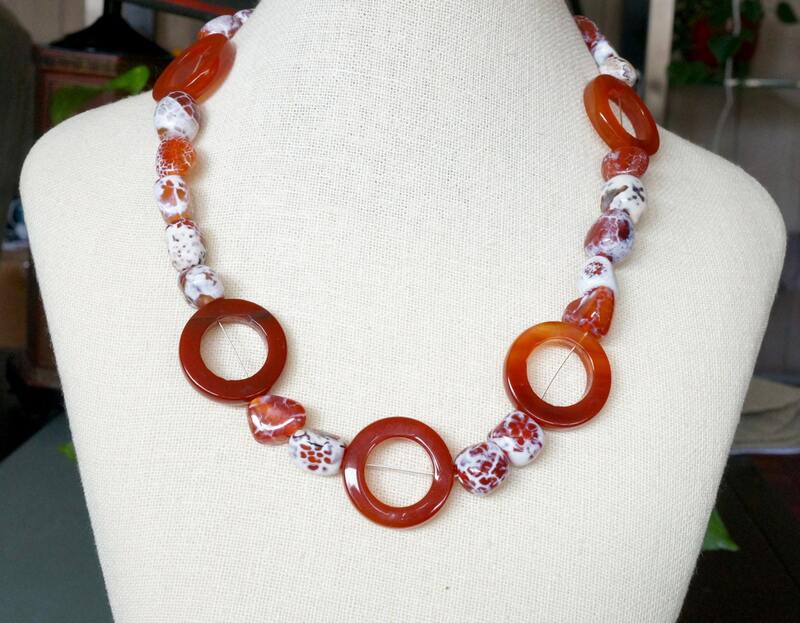 The necklace measure 20.5 inches. It can be shortened, at an extra cost of $10. It cannot be lengthened.